• The client is informed that this is an experimental technique and it will only be used with their full consent and knowledge. • The client is asked to choose one problem or issue that they are tired of struggling with and are willing to choose to fully intend to drop or let go of right now in this session. • The client is asked to share and use for the experiment a vivid and powerful opposite experience of a time when they were handling a similar or related problem without effort or struggle. • If an opposite experience is not available, then the highest experience of competence that the client can deeply feel will work and will work better than a mild opposite experience. Therefore, be sure to get an emotionally powerful memory of high functioning at work, play, some performance art, a sport, or enjoying some hobby or interest. The client is oriented to the nature of five things: problems, solutions, issues, identity or self, and the existence of six biological brains in the body. Problems put thinking above experience and experience above sensing, energy consciousness, or awareness. This is the reverse order from solutions. Problems are not solutions, issues, or your self. Problems must not be allowed to own solutions, issues, or your self. Explore and emphasize the points below that are most appropriate for the client. • Problems are an experience of negative energy. • Problems loop on themselves (rumination) through recursion: self-calling, self-repeating. • Problems seek to maintain themselves. • Problems are self-centered and self-absorbed. • Problems are self-fulfilling, self-proving, and self-supporting. • Problems are content to struggle and strain against themselves. • Problems remain problems when they are in charge. • Problems are never changed into solutions. • Problems never evolve into solutions. • Problems interfere with functioning, problem-solving, and coping whenever they can. • Problems focus on creating or increasing anxiety, depression, guilt, and shame. • Problems focused on the self or the identity of a person cause more problems. • Problems focused on or driven by fear cause more problems. • Trying to change or control problems feeds problems and adds new problems. If you are trying to end, stop, or undo a problem and you are identified with that problem, then you cannot let the problem end—because that would also mean your end. All ways to try to manage problems (adapt, adjust, accommodate, change, complete, condemn, conform, contain, control, convert, correct, cover, criticize, distract, end, evolve, fix, hide, modify, reconstruct, reframe, reinterpret, stop, suppress, transform, undo) can be understood as attempts to eradicate or dissolve a problem. However, problems are never made to disappear, because they can always be remembered, reinitialized, or rebooted by stress or familiar experiences. The goal is not the elimination of a problem. The goal is to switch your focus from a problem to a solution and to make that switching process a permanent resource or tool of yours. • Problems are an opportunity to switch to solutions. • The purpose of problems is problems. • Problems about problems to fix problems increase problems. Shaming yourself for your problems might motivate you to abandon them, but shaming never fixes problems. Instead, shaming often adds problems to problems or makes problems about problems. No amount of shame can fix a problem. Shaming yourself is never helpful, because it distracts you from the problem and makes you the problem. Shaming problems as stupid or unkind can be used to motivate yourself to switch from them to solutions. GADSAP is an acronym for emotional problems. It stands for guilt, anger, anxiety, depression, shame, attachment (owning, personalizing), pride. Here is another list of problems: attaching, blaming, claiming, covering, damning, demanding, persecuting, expecting, regretting, trying, whining, worrying. It is a good idea to make a list of your own problems. These are problems that you have a long-standing relationship with. A relationship this exercise will help you change for the better. Solutions put sensing (energy level), energy consciousness, or awareness above experience (sensation level) and experience above thinking (verbal level). This is the reverse order from problems. Solutions are not problems, issues, or your self. Solutions must not be allowed to own problems, issues, or your self. Explore and emphasize the points below that are most appropriate for the client. • Solutions are an experience of positive energy. • Solutions serve goals and purposes, not themselves. • Solutions seek to increase and maintain positive energy. • Solutions are other-focused, charitable, and generous. • Solutions get and stay out of the way of functioning. • Solutions are content to nurture and serve. • Solutions remain solutions at all times. • Solutions are not about ego, identity, personality, pride, or self-esteem. • Solutions focus on increasing encouragement, faith, and hope. • Solutions are directional, focused on a path, or linear, and neither loop nor get stuck. • Solutions might focus on the universal or shared nature of human beings, but they never focus on ego a.k.a. self-esteem. • Solutions exist outside of problems. • Solutions are independent of problems. • Solutions never become problems, but solutions can be misused. • Solutions are not reactions to or about problems, because solutions are about solutions. • Solutions do not develop because of, out of, or from problems, because solutions exist both before and after problems exist. • Solutions are always available and ready to be of service. Here is a list of some solutions: acceptance, charity, compassion, detachment, determination, endurance, faith, forgiveness, gratitude, hope, kindness, mindfulness, meditation, patience, prayer, contemplation, introspection, relaxation, play, suffering well, unconditional self-acceptance, unconditional other-acceptance, unconditional life-acceptance. Solutions are typically high or noble ideals, spiritual practices, and virtues. Solutions are also simple and common acts of self-care or nurturing. It is a good idea to make a list of your own solutions. These are solutions that you have a longstanding relationship with. Update and increase your list of useful solutions whenever you can. Issues are areas of life that need attention. Here is a partial list: contact needs, physical exercise, mental exercise, diet, sleep, sexual exercise, personal hygiene, social relationships, housing, clothing, finances, transportation, medical services, child rearing, balance between work and home, self-care, other-care, desire for approval and support, desire to contribute, clean air and water, maintenance of possessions, obligations or duties. Issues are not problems, solutions, or your self. Issues must not be allowed to own problems, solutions, or your self. For example, driving in the city or in traffic is an issue, but road rage is a problem, not an issue. • Issues are not problems or solutions. • Issues are mostly not emotional, but we often make them all emotional. • Rational and logical thinking focused on practicality and problem solving are the best tools to resolve issues amicably and sensibly. • When problems are paired with or attached to problems, then issues become problems and rational thinking will not resolve them. When your identity or personhood is conflated with, enmeshed, with, paired with, or attached to issues, then issues become problems. Anything that you make about your ego or self-esteem becomes problematic because the demands of ego override the needs of issues. Reason, logic, problem-solving, compromise, good communication skills, or other sensible approaches will not resolve issues when the ego is involved. This exercise or strategy (SOP) requires you to move your self around inside of your body and its brains. In order to move your self around inside of your body and brains, your self must be different from your body and brains. You can understand your self as your attention, awareness, focus, mind, or presence. Your self is not problems, solutions, or issues. Your self must not be allowed to own problems, solutions, or issues. Explore and emphasize the points below that are most appropriate for the client. • Self is neither the problem nor the solution. • Self can switch from problems to solutions whenever it chooses to do so. A simple way is to understand the nature of your self or being is just to think of your mind as your self. Then, your mind is your internal self and not your body or brains. A simpler way is to think of your presence or self-awareness as your self separate from your body and brains. An advanced way is to understand your self is as an inner container. • Self is the inner space and place inside your body that only you are in charge of. • Self is the inner vessel or host for your thoughts, feelings, and sensations. • Self is the host of both the problem and the solution. • Self is a transceiver because self both receives and resends signals. • Self is in control of what it chooses to entertain or host. • Self is like a living radio that can choose the music or channel that it is receiving and sharing. The human body contains six brains. To be called a brain there must be a collection of physical neurons that process and function independently of other neuron centers. When the six brains are freely communicating with each other, then people are in a state of coherence or centeredness. This state of being is also known as flow, naturalness, and spontaneity. Simply, you are in balance. When two of the six brains are looping (calling or activating each other over and over again) and not sharing with the other brains, then you are in a state of dis-equilibration, disintegration, and disturbance. Simply, you are out of balance. This is the enteric nervous system. It is also known as your gut (“listen to your gut”), intuition, and sixth sense. It has a direct connection to the brain stem which is also known as the lizard brain and the survival brain. This direct connection can activate the lizard brain. The heart is composed mainly of neurons and functions as a brain as well as a pump. It has a direct connection to the limbic system which is also known as the mammalian brain and the emotional brain. This direct connection can activate the emotional brain. It is also called the brain stem and it sits on top of the spinal column. It is called the lizard brain because lizard brain development stops at this point. It has a direct connection to the stomach brain which can activate the stomach brain. The lizard brain is the survival brain because it controls things like fight (attack), flight (run or avoid), and freeze (shutdown, don’t respond, go numb) responses to danger or perceived danger. There are also figure (looping, intellectualizing, paralysis by analysis), fantasy (escapism, psychosis), and fracture (DID and schizophrenia) responses to danger and fear. This brain is on top of the lizard brain. This is where mammals stop in brain development. It is also known as the limbic system and the emotional brain. It has a direct connection to the heart brain which can activate the heart brain. 5. The primate brain (left half). This is called the primate brain because primate brain development stops here. It is also called the neocortex or the grey matter of the brain. The left half of the brain is known as the logical and verbal half of the brain. It processes words. The left and right halves have a direct connection; however, their direct connection is for communication not activation. 6. The primate brain (right half). The right brain is the right half of the neocortex. The right half of the brain is known as the artistic, creative, or visual half of the brain. It processes images. These two brains (left and right) communicate between each other using the corpus callosum. 1. By moving something to the stomach brain, we engage both the stomach and lizard brains since they are directly connected. 2. By moving something to the heart area (behind the breastbone and-or between the shoulder blades), we engage both the heart and mammalian brains since they are directly connected. 3. The hands are wired to the opposite side brains. By moving something into the left hand, we engage the right brain. 4. By moving something into the right hand, we engage the left brain. You can also use the feet or other pairs of opposite body parts such as the earlobes or elbows if needed or desired. Breathe into your stomach, heart, left hand, right hand. Really feel your attention, awareness, focus, mind, presence, and-or self to be in each area as you breathe into it. You can breathe in and out of each place once and then move to another place, or you can stay in each one of the four locations breathing as many times as it takes to feel your presence fully there. This exercise is relaxing and promotes calmness which is helpful for problem-solving and coping. Feel free to practice it by itself. Breathe the issue into your stomach, heart, left hand, right hand. Really feel the issue in each location. This will help you to detach from the issue. Detaching from an issue is itself a solution for issues. Once the issue is not you or about you, you can approach it with your calm mind or from a state of coherence. Breathe the problem into your stomach, heart, left hand, right hand. Really feel the problem in each location. This will help you to detach from the problem. Detaching from a problem is itself a solution for problems. Once the problem is not you or about you, you can approach it with your calm mind or from a state of coherence. Breathe the solution into your stomach, heart, left hand, right hand. The solution is the emotionally vivid and powerful memory of competence that we obtained at the beginning of the session. 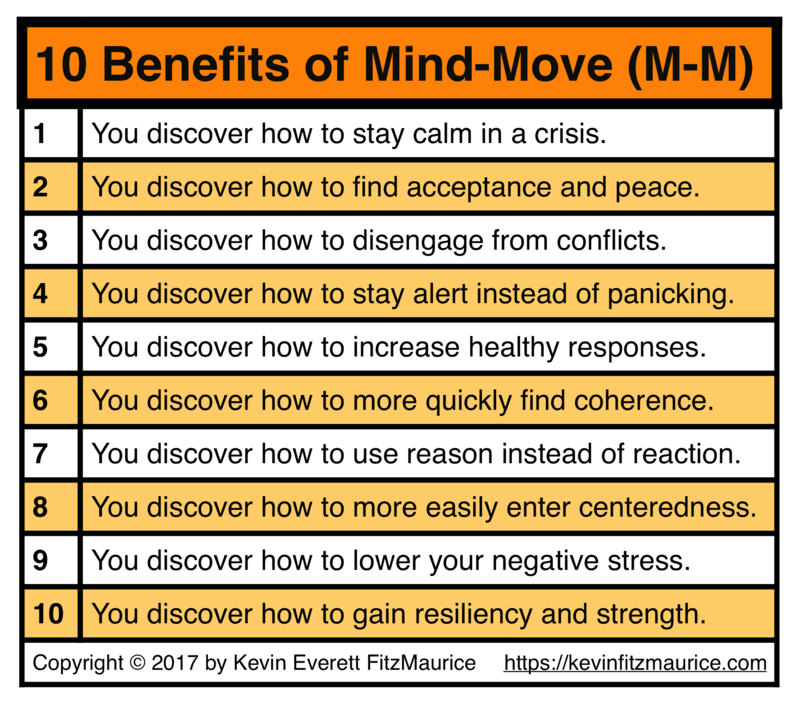 This will help you to reconnect with your calm mind and your ability to be under and following solutions instead of problems. Breathe the problem and the solution into your stomach, heart, left hand, right hand. This is the real work. You want the solution to take charge of and override the problem. Hold both (problem and solution) as long as you can in each of the four locations. As long as you are feeling both there, keep holding them there. Whenever the solution becomes dominant over the problem, then it is time to move to one of the other four locations (preferably in order). Breathe the issue and the solution into your stomach, heart, left hand, right hand. This is the solution to the issue. You want the solution to take charge of and to direct the issue. Hold both (issue and solution) as long as you can in each of the four locations. Whenever the solution becomes dominant over the issue, then it is time to move to one of the other four locations (preferably in order). 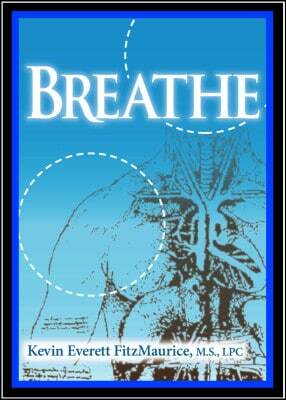 Breathe your self and the solution into your stomach, heart, left hand, right hand. This is the solution for your self so that you serve solutions, not problems. You want the solution to take charge of and to direct your self. Hold both (self and solution) as long as you can in each of the four locations. Whenever the solution becomes dominant over the self, then it is time to move to one of the other four locations (preferably in order). Your homework is to repeat the exercise (SOP) at least once a day for 28 days. Repetition is important to establish and maintain neural pathways from the problem to the solution. After 28 days of practice, the neural pathways will be permanent and easy to remember. You need only practice steps 4–6 of SOP if you are comfortable and confident that you have completed the first three steps completely. Experiment and see if doing all six steps each time you practice is best for you or not. What works for you is what you should practice. Please report back on your success with the exercise. Feel free to journal about your progress, because that will also reinforce your new neural pathways. Practice serving problems less and serving solutions more. For example, to serve a problem less, lower your use of blaming, damning, and whining. To serve solutions more, increase your use of forgiveness, gratitude, and kindness. You can also just focus on sharing solutions more than you do problems. Thank you for your cooperation and risk-taking in engaging in this experimental exercise. Do you have any final questions for us before we end the session? More information on the SOP exercise, strategy, or technique can be found in FitzMaurice’s, Breathe. The SOP exercise is based upon that book, but SOP is not in that book. However, SOP is similar to the M-M-T exercise in that book. SOP is also different because it includes theoretical considerations not covered in that book. Breathe is available as an ebook on Amazon, and it is also available online from Apple, Barnes&Noble, Google, and Kobo. Always start at smile.amazon.com instead of amazon.com. Why? Because it is the exact same Amazon with the difference that a small portion of your purchase price will be donated to the charity that you designate! More information about FitzMaurice’s work and books can be found on his website at kevinfitzmaurice.com. FitzMaurice has written related books on ego, self-esteem, the nature of self, thinking skills, and counseling. Enjoy!